Bloody-disgusting.com has a few behind-the-scenes photos and an exclusive clip from the found footage movie Bigfoot : The Lost Coast Tapes. Below we have the exclusive scene provided by Bloody Disgusting. The scene is quite the teaser. Click the following link to read our previous coverage of Bigfoot: The Lost Coast Tapes. XLrator Media will release Bigfoot: The Lost Coast Tapes in theaters on October 19, 2012 in Los Angeles, October 26, 2012 in San Diego and November 2, 2012 in San Francisco and Seattle. The film is directed by Corey Grant and stars Drew Rausch, Rich McDonald (HBO’s “Generation Kill”), Ashley Wood, Noah Weisberg and Frank Ashmore. We’ve landed the film’s official trailer, alongside an exclusive clip that goes on the hunt for the legendary creature. As we get closer to the screenings in four different cities this October, Dread Central is giving a way a one-sheet a/k/a movie poster. In honor of the limited theatrical release of Bigfoot: The Lost Coast Tapes, we're giving away one badass one-sheet! In fact it's one of our absolute favorite bits of artwork of the year! Read on for details. 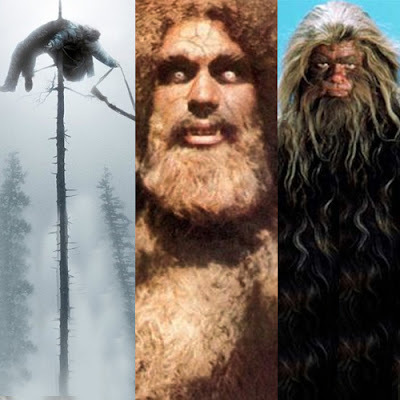 XLrator Media will release BIGFOOT: THE LOST COAST TAPES in theaters on October 19, 2012, in Los Angeles; October 26, 2012, in San Diego; and November 2, 2012, in San Francisco and Seattle. The film is directed by Corey Grant and stars Drew Rausch, Rich McDonald (HBO’s Generation Kill), Ashley Wood, Noah Weisberg, and Frank Ashmore. Send you email to contests@dreadcentral.com with the subject line "Lost Coast Tapes Poster" and include your FULL NAME name and MAILING address. In case you need a refresher on the movie watch the trailers below. Are you ready for the next Bigfoot movie? 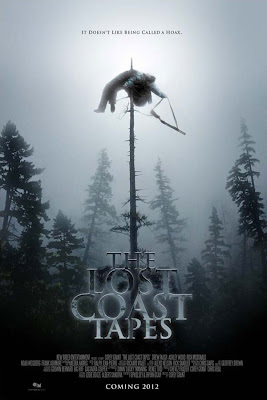 the Lost Coast Tapes is a Bigfoot Horror film. 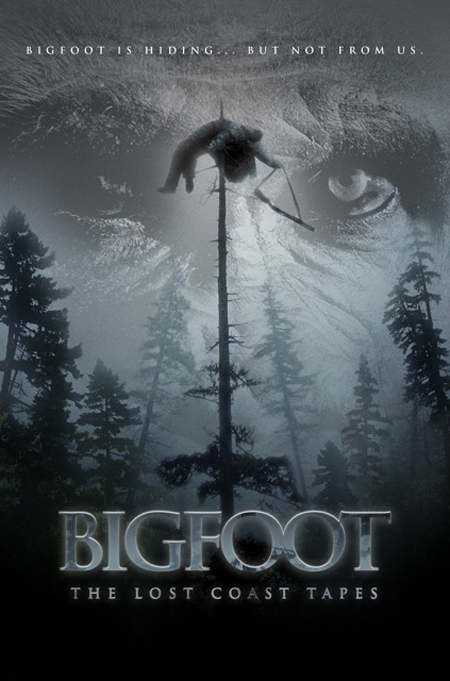 Synopsis: After a "Bigfoot Hunter" claims to possess the body of a dead Sasquatch, a disgraced investigative journalist stakes his comeback -- and the lives of his documentary film crew -- on proving the find to be a hoax. Below are two trailers from this upcoming movie.